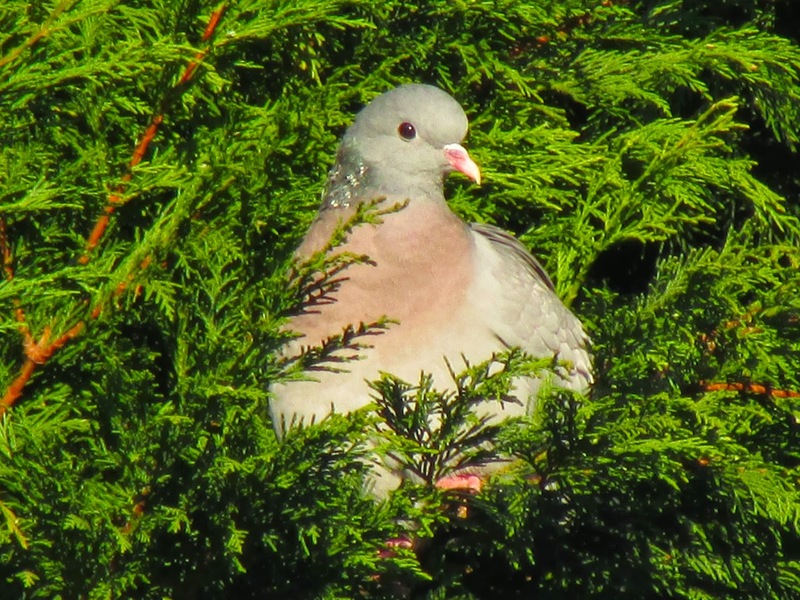 In the calm after the storm, Stock Doves resumed their activities in the park. This morning there is a lot of chasing and singing going on around the trees where they nest. This individual sat sunbathing and preening itself.